Ya know, that tab is called “Videos and Podcasts” for a reason! Time to put the latter half of the title to good use! Folks, welcome to The Music Plant Zone, SEGASonic:Radio’s remix-centric LiVECAST, taking up the mantle for BlitzChris’ Blitz n’ Pieces. Essentially integrating Sound Test Saturdays, and The Sound Check on occasion, into a one hour Saturday show, that time is spent highlighting various Sonic, SEGA, and other remixes and original tracks put together by the community. 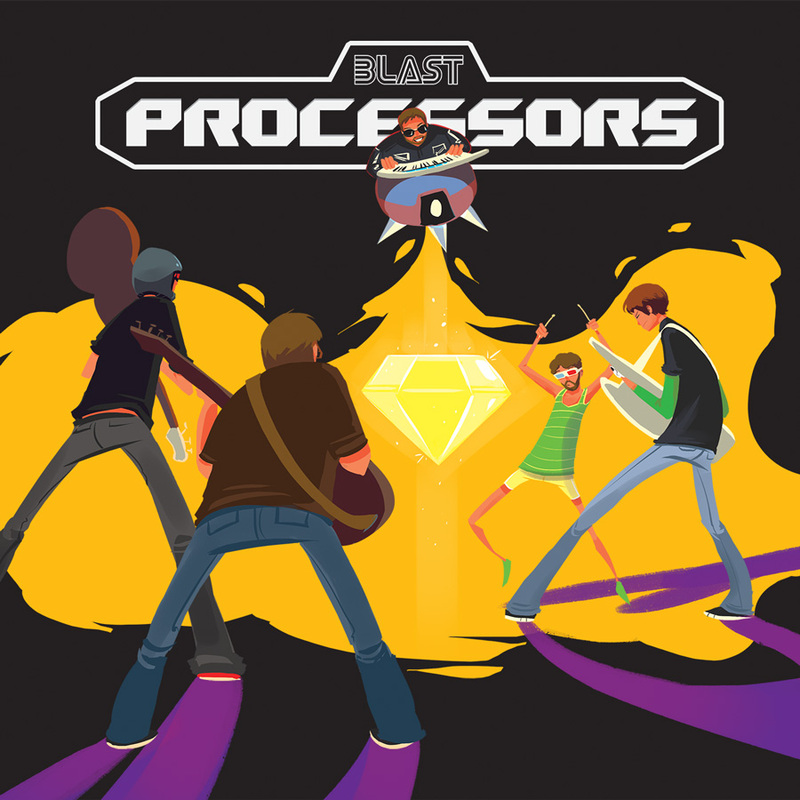 Last night, I’ve had the honour to interview the Toronto-based SEGA music cover band called The Blast Processors, who have recently released their first EP via Bandcamp. Claiming to have come from the year 2101 in the middle of a civil war (a ripple effect of the Nintendo vs. SEGA Console War), the band is composed of Master System, Game Gear, Mega Drive, Saturn, and The Menacer, and specializes in rock music. You can check out The Sound Check with the Blast Processors for yourself in the Depository, where we spent most of the time discussing their EP, MAGFest hopes, an upcoming album possibly slated for release by the end of the year, the Worlds Collide Sonic and Mega Man comic crossover, and, as Team Reaverbot, their Mega Man 25th fan game, the interview sprinkled with lots and lots of Seaman. Also included in this Sound Check are the four tunes of their EP: The Last Stand of Dr. Ivo Robotnik (Death Egg Robot of Sonic 2 fame), Sonic Boom, For Family Slain (played live as a tribute to Golden Axe), and Casualties of War (Flying Battery Zone with the Sonic & Knuckles mini-boss theme)! Support the band by purchasing the EP (for only $3 CAD, mere pocket change! ), following them on Twitter, and liking them on Facebook. To those in the area, The Blast Processors are planning some gigs not too far off in the future, so it’d be advisable to keep track! On a related note, one of the band members also put together a free of charge Worlds Collide-themed album, where 6 select tunes from both Sonic and Mega Man franchises are redone in the opposite’s musical style! You can also download the OST of Mega Man 25th there. Don’t forget to check out the new SEGASonic:Radio page for the station’s complete schedule. Expect a bigger SS:R presence on the site, to be phased out over the coming weeks! While the core of SEGASonic:Radio is still undergoing refurbishment, tradition marches on from last year as the next Sonic Stadium Music Album approaches! And you know what that means? Since then, the fun has been doubled. Clear your schedules, fake sick for work, and nestle yourself nice and comfy-like in the safety of your own home, for The Sonic Stadium Music Adventure 2012 will be streamed in its entirety this Saturday at 4pm, GMT! The 140+ track megalith behemoth of a compilation will air on SEGASonic:Radio’s The Music Plant Zone, with me as your gracious host! The album itself clocks in at around 8 hours, split down into 10 discs! See you all in the chatroom on Saturday!